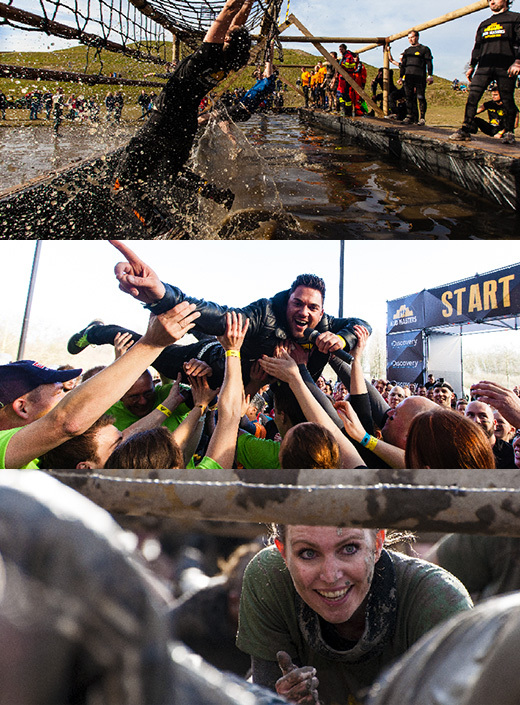 On our obstacle course you will run, climb, slide, crawl and fly with your Mud Buddies! Check out the video for a sneak preview of our obstacles from the eyes of a Mud Master. 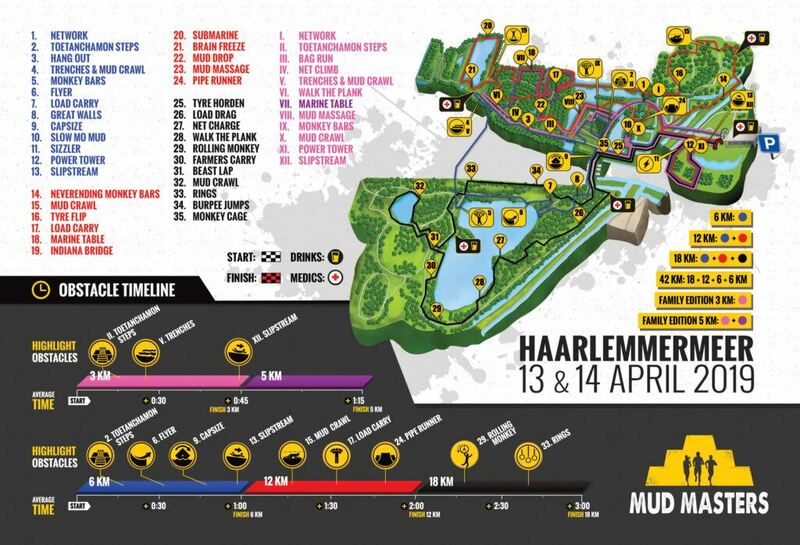 The Haarlemmermeer track, covered in dense forest, is known for its many obstacles. ‘Gigantic’ is one word is needed to describe it, ‘intensive’ is another. Some of our contenders even wondered if Photoshop had been used on the photos of the obstacles. However, the heavily talked about pyramid is real. This Egyptian marvel is 40 meter tall and will turn boys into men. Prepare yourself by avoiding the elevator and start taking the stairs. This will make it look smaller on D-day. The 40-meter high pyramid in Haarlemmermeer is killing! But when you’re finally on top, you feel like a huge winner! These notorious walls force you to use teamwork! You can call it ‘playing outside’ for adults! A good sprint is half the battle.